Went out to start the Great Kiwi Bee Count today. 2 minutes watching a plant of your choice and count the number of honey bees and bumble bees that turn up. I chose the apple tree which is in blossom. No bees, just ants. And I am going to cheat again today and post two photos. 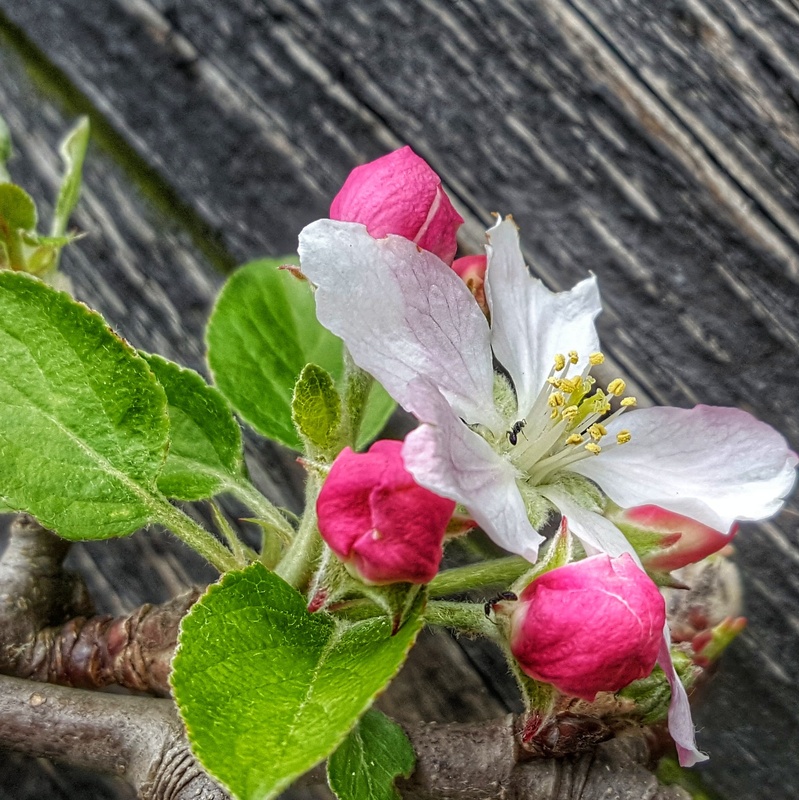 One of the blossom complete with ant and one of this beautiful wee apple which is still clinging on after the winter. Wonder if it tastes as good as it looks? !